WE'LL DIAGNOSE AND FIX YOUR TECH CHALLENGES! Schedule One-on-One Support with one of our technology specialists in our Tech Lounge. Get all of your how-to questions answered. Sometimes you need onsite computer repair at your home or business. Just give us a call and we'll send out one of our technology specialists. Don't have time in your schedule for an onsite appointment? Simply drop off your computer to our store and pick it up when it's ready. We've got the key to making it all better. Some computer problems can be solved remotely. Let us take control of your computer to assist you. by helping our customers simplify technology. Have you ever said that technology is more trouble than it's worth? Computer House Calls is dedicated to making technology work for you. 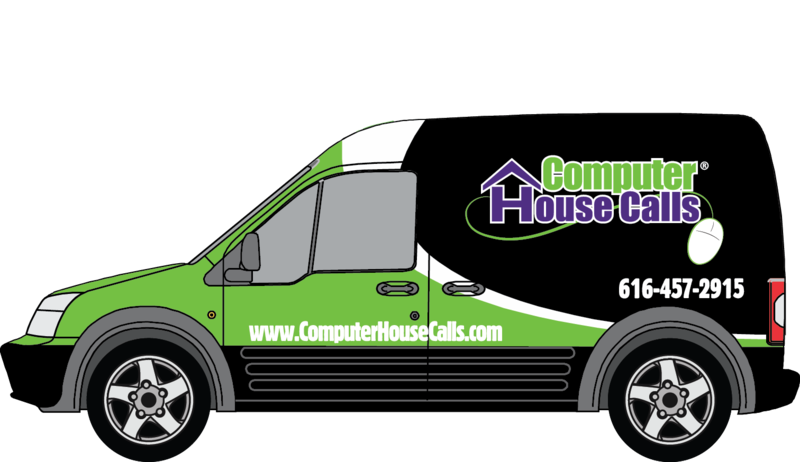 Whether you need computer repair, networking support, need to purchase a new computer, or just help trying to get something to work, you can count on the professionals at Computer House Calls. Proud members of LocalFirst and Grandville Jenison Chamber. Be sure to contact us if you have questions or comments. Excellent service and response to my computer problem. I have done business with this company before and always get excellent support. I have needed their services on several occasions. The staff is always professional, extremely competent, and very friendly. Fast and SUPER friendly service. We have been their customer for a few years now and have been TOTALLY happy with them. I recommend these people to everybody.